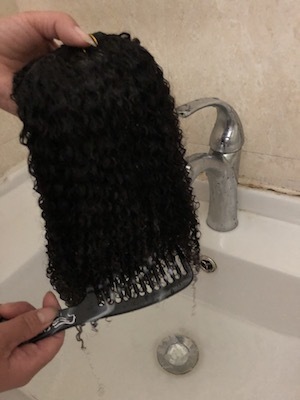 With binding cords intact, fully saturate hair with water, then shampoo with a sulfate free moisturizing shampoo. 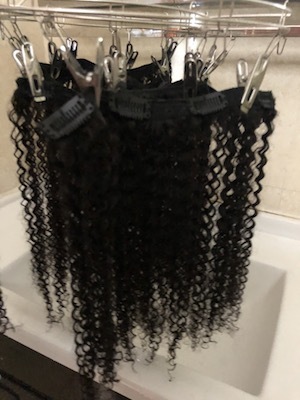 Hang and let the hair air dry. 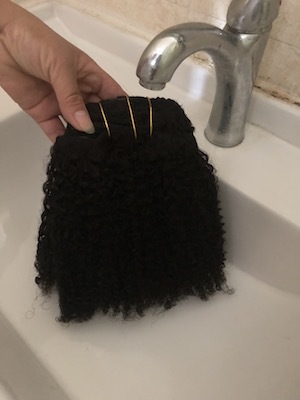 Before bed, we recommend you remove the clip ins. 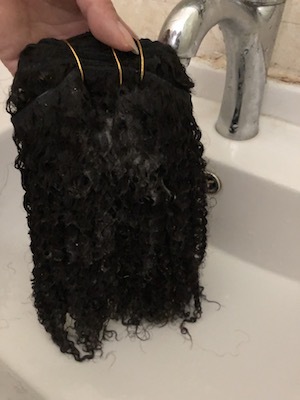 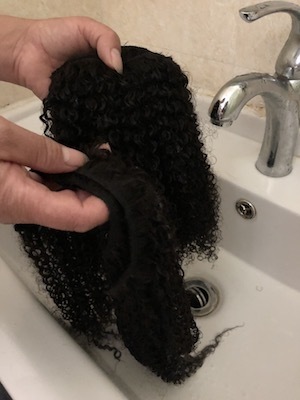 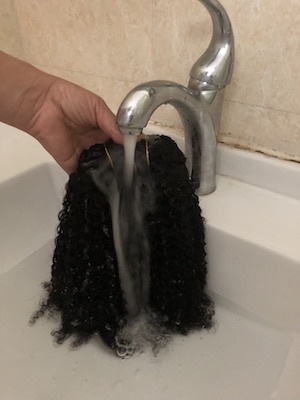 Co-wash and de-tangle frequently, we recommend that you wash your extensions weekly, because Product build-up can weigh down extensions and increase tangling. 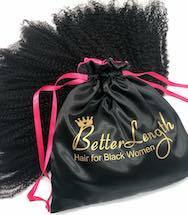 De-tangle from bottom of the weft up to the top using your fingers or wide tooth comb.